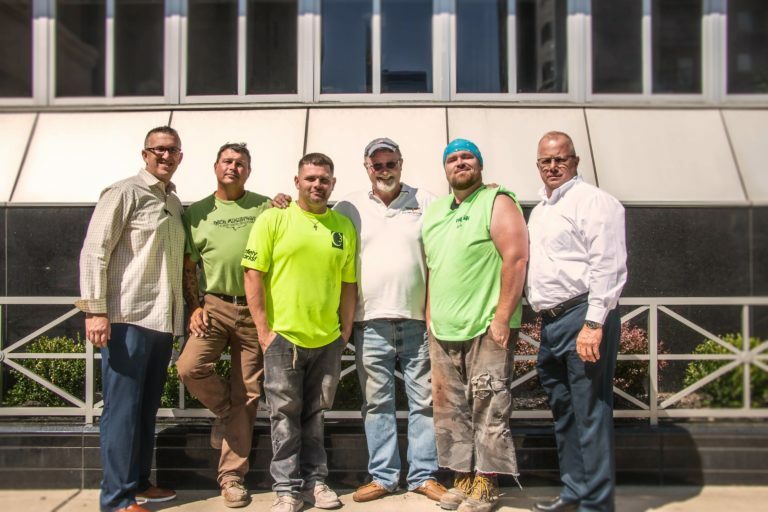 Cancer affects everyone, someway, somehow, and the United Brotherhood of Carpenters community is no different. 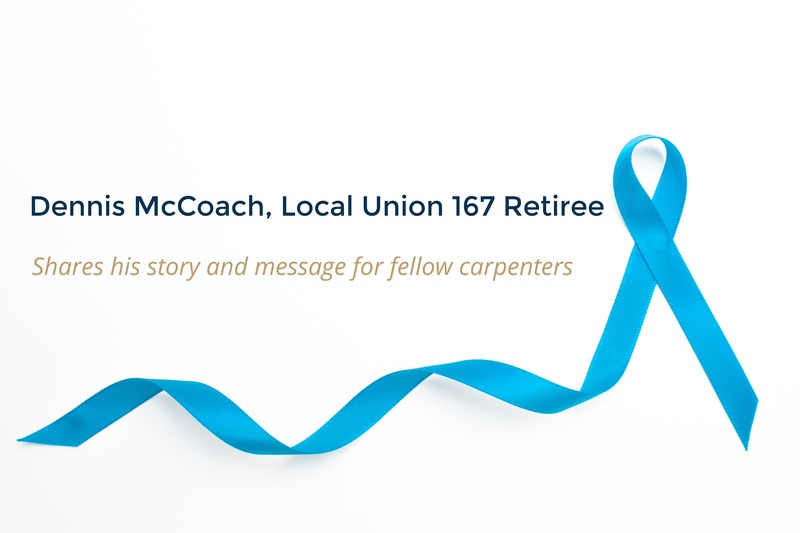 To help bring awareness to this terrible disease, long-time carpenter and proud Local Union 167 Retiree, Dennis McCoach, shares his story about his own battle with both kidney and prostate cancer. Dennis loved being a journeyman carpenter, and dedicated his life to his craft. He had the same day-to-day routine that most of us have. We get up, we go to work, we come home, and hope to spend as much time as we can enjoying our families and the ones we love. And just like us, Dennis never thought he’d be diagnosed with cancer. Dennis was 62 years old when he first found out he had kidney cancer. A diagnosis that he and his wife discovered accidentally. While enjoying a trip to the shore, Dennis was hit with sudden, excruciating pain. He went to the ER, had some scans done, to look for what the doctors thought were just kidney stones. When the scans came back, they revealed “something else” – a worrisome growth. Fearing the worst, Dennis made a follow-up appointment with a Urologist, and Dennis’ diagnosis was confirmed. After receiving this life-changing news, Dennis underwent an operation to remove the growth 7 weeks after his initial diagnosis. After it was removed, doctors sent Dennis to get a PSA Test – a test used primarily to screen for prostate cancer. It revealed that his PSA levels were extremely elevated, and Dennis was diagnosed again – this time with prostate cancer. Once the prostate cancer was discovered, he made the brave choice to have his prostate removed. After Dennis’ second surgery, the doctor told him that if he had waited longer he would have been dead or in hospice within two years. 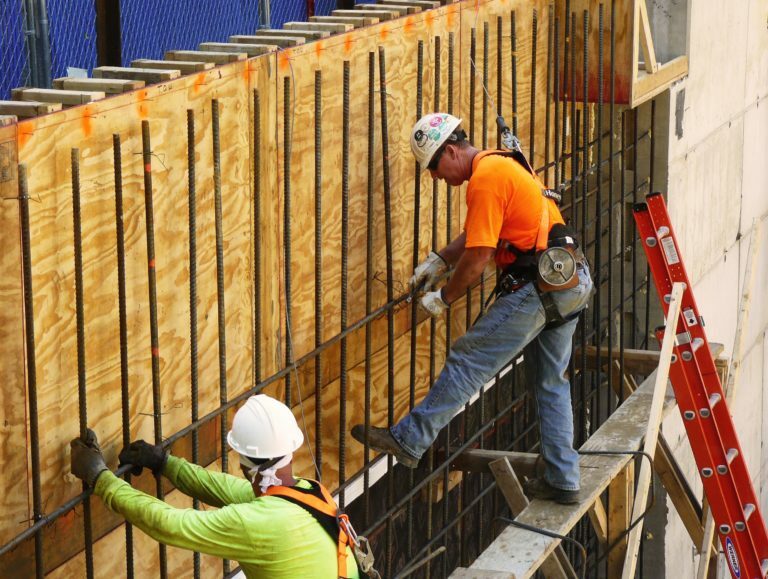 As a life-long carpenter, Dennis shared the sentiment that he’d always seen himself as a “tough guy;” a strong man in control of his feelings. But at a time like this, with his life hanging in the balance, emotions hit hard. He revealed that even now in remission, while he looks and feels so much better, the trauma of the life-changing diagnosis remains. In Dennis’ most recent visit to the oncologist, this time he received some good news – he is going to be okay. With this breath of relief, Dennis was overcome with emotion, weeping tears of joy and appreciation for the life of love he gets to continue. Dennis concludes with the urgent message: “Don’t let life get in the way!” And wants his fellow carpenter brothers to get their annual physicals, get their check-ups and screenings on time. Don’t find out about cancer by accident or when it might be too late. Stop worrying about losing work in order to go to the doctor. He urges you to utilize your preventative health benefits on a regular basis, because the cost of not doing so could be so much greater than a few hours of work. A special thanks to retiree Dennis McCoach for sharing his story about his struggle with prostate and kidney cancer, and for reminding us all why preventative health care is so important.